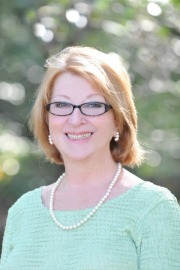 Dona is a licensed Broker with Beach Realty Group working out of the North Myrtle Beach office. A real estate industry veteran for over 25 years, she is well-regarded in the industry for her attention to detail, professionalism and commitment to personal service. She relocated from PA, where she had an extensive Real Estate Career. She has represented both buyers and sellers in all parts of Lancaster County PA, and specializes in retirees, empty nester home buyers, relocating buyers, vacation home buyers, new developments as well as high-end properties. Dona’s clients appreciate her vast knowledge of the residential Real Estate industry. She spent a number of years doing Residential Real Estate Appraising and was licensed for approximately 15 years of her Real Estate career as a Certified PA Residential Appraiser. Dona contends that communication is one of the most important elements of the client-agent relationship, "Knowing the local community and market is only part of an agent’s job, keeping my clients apprised of the latest developments in their home buying or selling process, especially when negotiating price, is the key to a smooth real estate transaction." Value is important to both sellers and buyers and knowing how to price property well in this current market gives Dona an edge due to her experience as a former appraiser. Dona has two grown children and one grandchild. Dona lives in the Longs area with her husband Jim and their wonderful pet companion Freddy. Specializations: Luxury Homes, Adult Communities, Rental Properties, Waterfront, Custom Homes, Lake/Beach Properties, Retirement Communities, Relocation, Move-Up Home Buyers, Building Lots, Residential, Residential Condos/Townhomes, New Construction, Vacation Homes, Buyer Representation, Second Homes, Single Family Homes, Seller Representation. Thank you for helping us complete the purchase of a (another) very nice condominium on our favorite beach. You previously helped us with the purchase and sale of a condominium with smooth transactions, even with a short-sale process for the purchase. Your knowledge of the market ensured very good pricing for both the purchase and sale. And your experience and reputation in the real estate community certainly helped guide this recent purchase that involved complications from other parties. Thank you again and we look forward to working with you for any future real estate needs. Dona has been my realtor in Myrtle area for 2+ years now and we have worked with her on multiple deals so far. What separates Dona from other realtors is that she is more like a trusted adviser than a sales person, feel like she is working for me and my interests. She has gone above and beyond to get me the information i need to make the right calls and am extremely satisfied with the purchases so far. She is an incredible outlier in today's world of commission oriented realtors. She also has a lot of connections in the area and provides a lot of assistance, especially for out-of-town buyers like me, which is a life saver many times. Kudos to Dona and appreciate everything she has done for us and hope to keep the relationship going as we look at other investment opportunities in the Myrtle area. I recently sold a house in Baltimore which was on the market for 3 years and went through several realtors while I was looking here in North Myrtle Beach. Down here I was using another realtor which I had to fire. At a complete loss as to what to do, I found a realtor that was a total stranger but after the first meeting became a best friend.Dona Hullihen. The house she showed me was a house I had my eye one for some time .Dona negotiated aggressively and got the price I wanted. You couldn't ask for nicer and pleasant person to work with. Dona, Thank you for everything you did for me and I hope that after reading this review that more people flock your door.